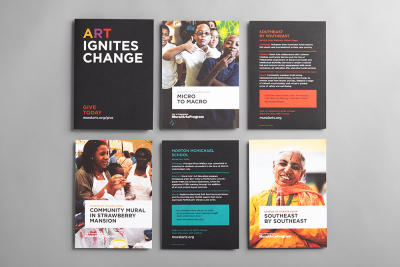 Mural Arts is reinventing and democratizing how the public engages with art, through community-focused programming and art education. 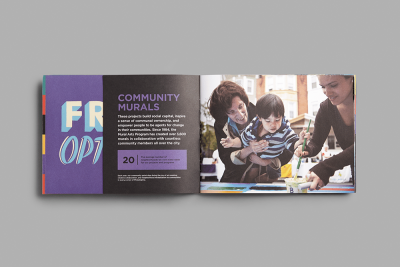 We developed new messaging and designed campaign collateral to convey the overarching message that “Mural Arts” is a lot more than just painted walls. 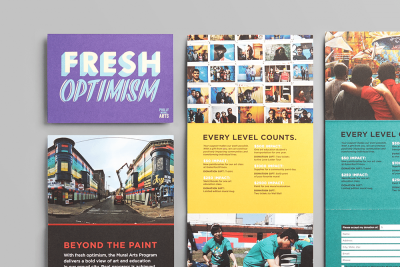 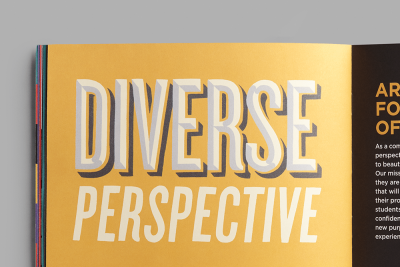 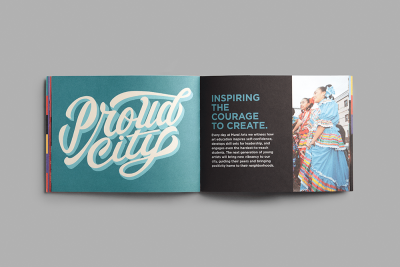 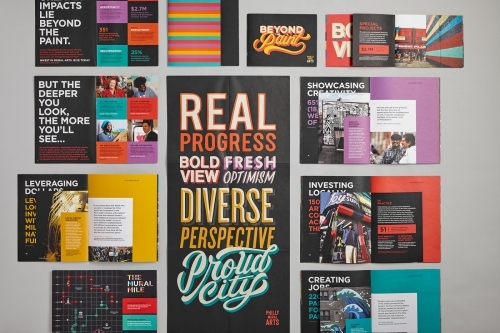 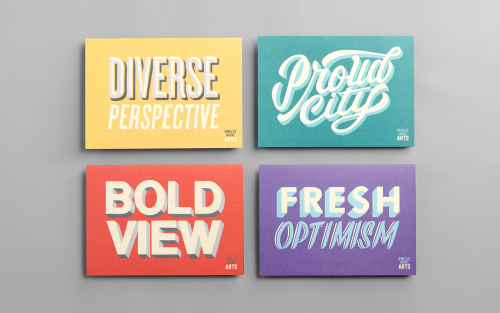 We developed core narratives and a positioning statement to help communicate why, what and how Mural Arts does their work – Bold View, Diverse Perspectives, Proud City, Real Progress and Fresh Optimism. 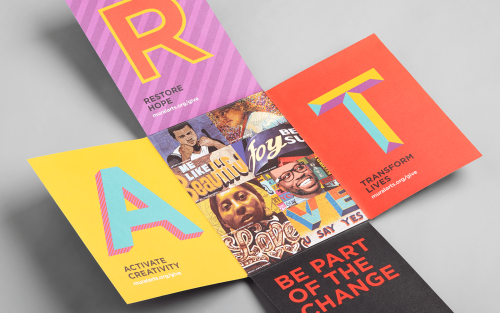 We commissioned a local sign painter to hand-letter the narratives and then incorporated them into the full suite of materials. 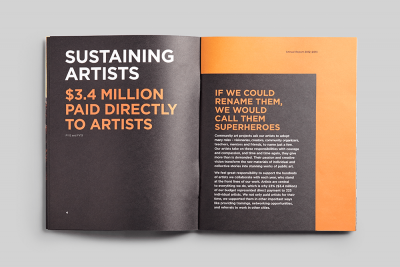 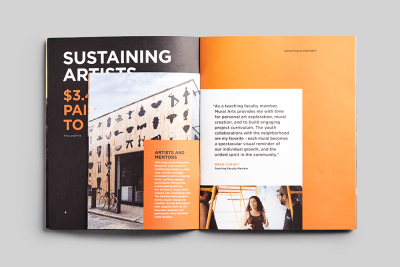 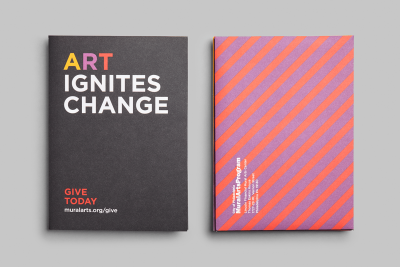 This 24-page booklet was produced for staff to use as a flexible tool to introduce potential donors, partners and artists to the Mural Arts Program. 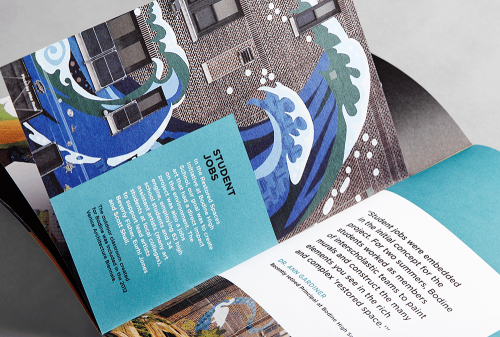 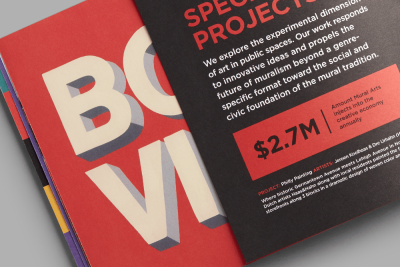 We developed a package of case studies spotlighting the challenges, solutions and outcomes of three Mural Arts projects, housed in a custom-folded enclosure. 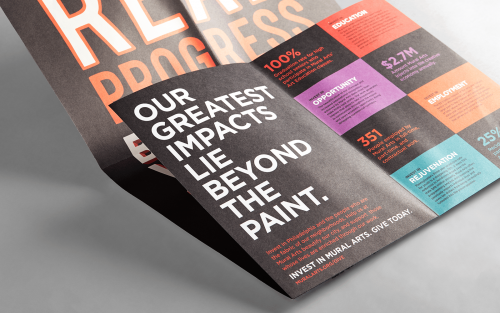 This folded poster was designed to address a common critique that the Mural Arts Program is just paint on walls. 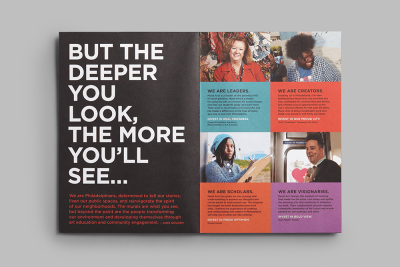 We incorporated stories from citizens who were impacted by their experiences working with Mural Arts, and included a grouping of the core narratives to showcase the positive impact Mural Arts has on Philadelphia. 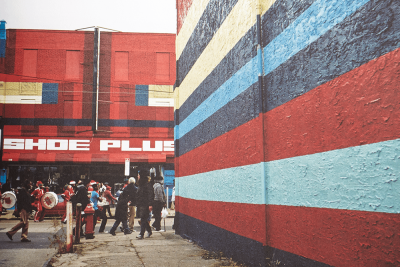 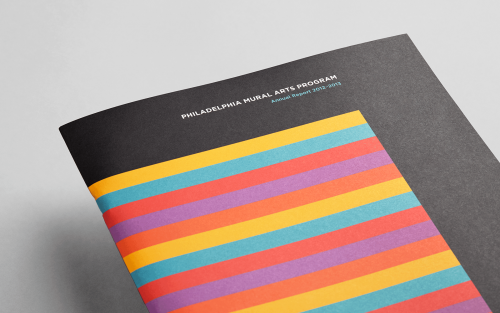 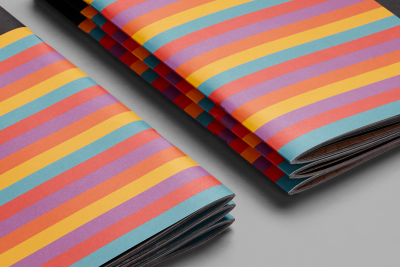 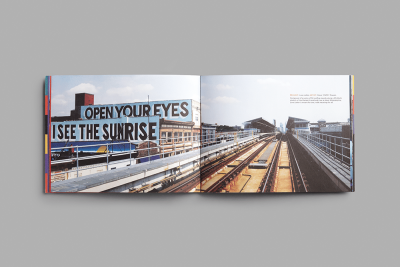 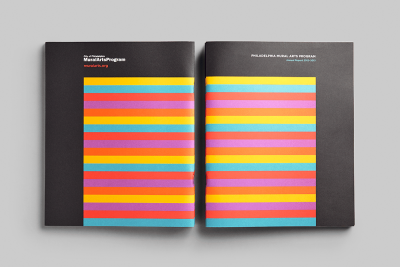 Inspired by Mural Arts’ project “Philly Painting”, the cover of the 2012-2013 report uses simple, colorful stripes as a stark contrast to the image-heavy interior pages. 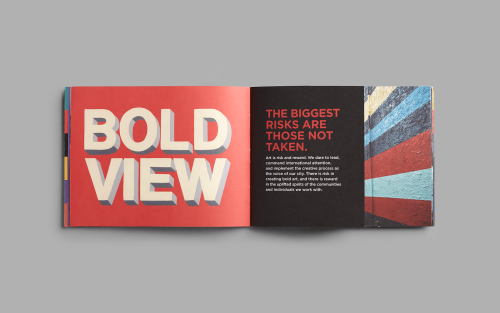 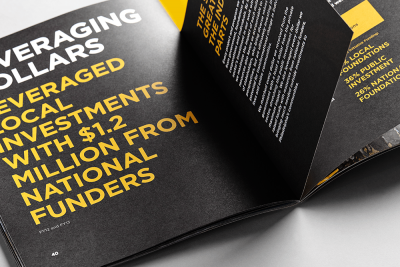 We incorporated short sheets throughout the book to not only pace the content, but also symbolize the many levels of work within the organization.